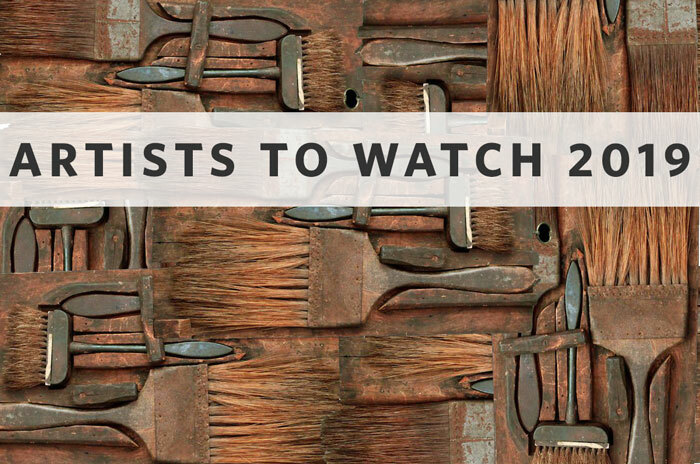 Located in Village Wine & Coffee, the Northern Daughters Annex exhibits rotating work by the gallery’s artists. Cameron Davis’ work emerges from the intersection of art, ecology, social and environmental justice. Her paintings are a vehicle for exploring issues of conscious perception and living sustainably in a warming world. In preparation for this exhibit gallerists Sophie Pickens and Justine Jackson visited the artist in her Charlotte home, part of an intentional community based on a common desire to live cooperatively, ecologically, and economically. 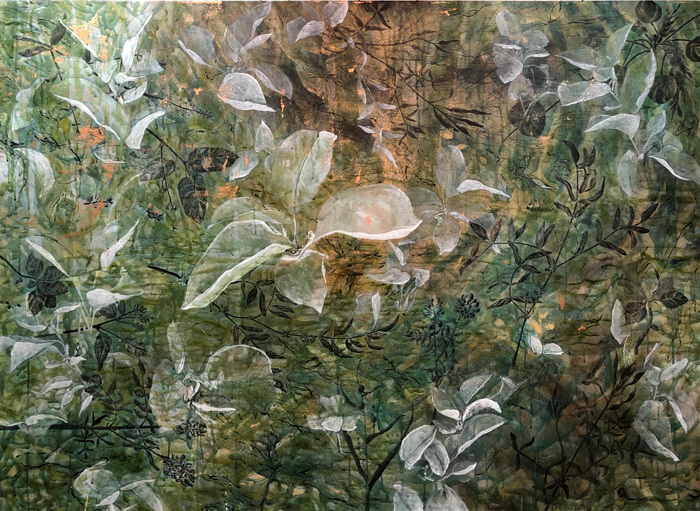 Upon entering Davis’ studio the viewer immediately feels small before her large iridescent botanical paintings, mostly due to Davis’ treatment of her subject. 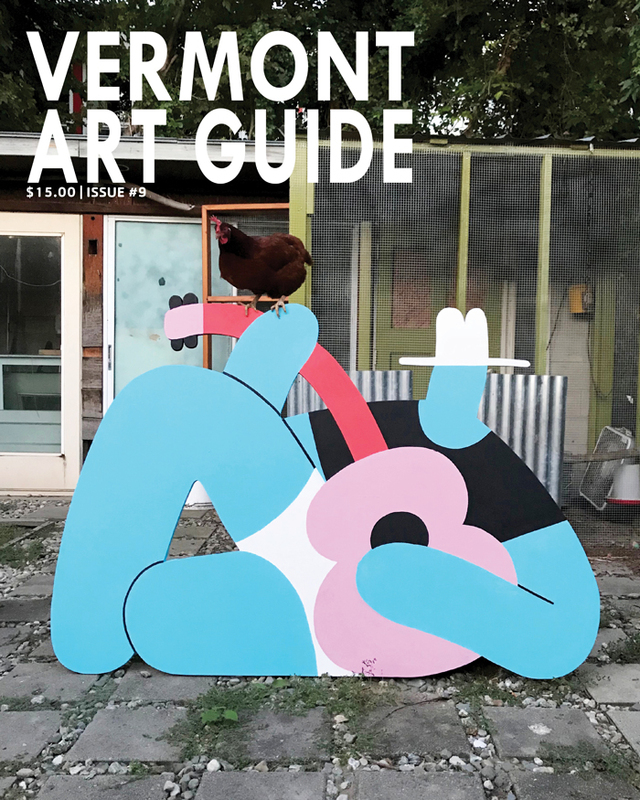 Davis is a member of the Ecoart Network, and Senior Lecturer with the University of Vermont Department of Art & Art History, including teaching transdisciplinary courses on Art & Ecology. 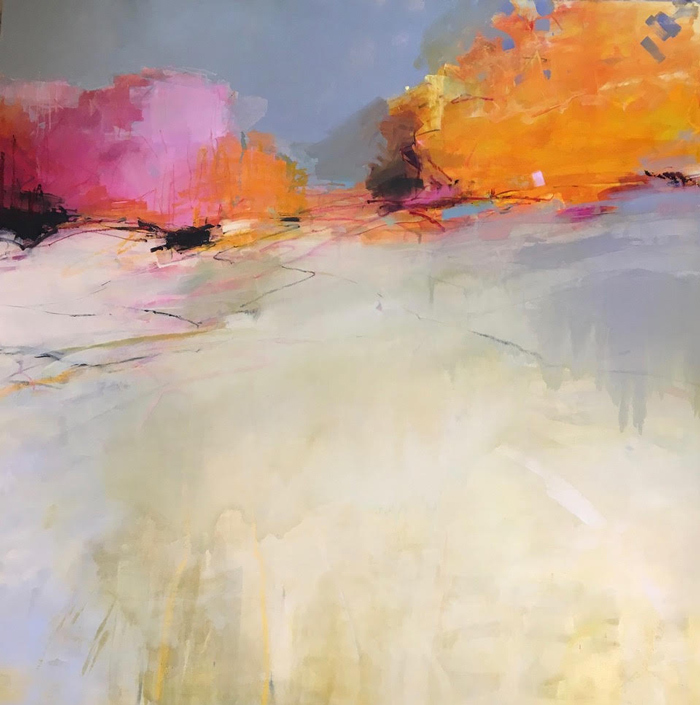 Davis has been an artist for over forty years, and says the following of her process, “There’s a place in the painting practice where I tap into what feels like a deep aquifer of intuition. It’s beneath the surface of the everyday world. We can all tap into this much wider source of knowing and understanding. The painting practice itself, gives me an opportunity to engage with, or swim, if you will, in that aquifer, that deep place of knowing.” Davis also exhibits work in non-traditional venues collaborating with climate change events, adding a visual voice to these projects. Grand Opening reception: Friday, September 7, 5-8PM. Northern Daughters, a fine art gallery in Vergennes, has opened The Annex in Shelburne, in a space hosted by Village Wine & Coffee. Village Wine & Coffee’s owner Kevin Clayton created a newly renovated space for patrons to enjoy wine, coffee, artwork and the tradition of community in his historic building at the corner of Shelburne Road and Harbor Road. Clayton expanded his wine shop into the north side of the building (what was formerly Patina Antiques & Home Furnishings). To the rear of the wine shop, visitors enter Northern Daughters Annex. This fall, there will be a series of wine education events taking place in the gallery. The Annex will feature rotating work curated by the gallery owners. The current show features a selection of new work from Anne Cady, Julia Jensen, and Rose Umerlik. Anne Cady is best known for her playful and bold Vermont landscape paintings. 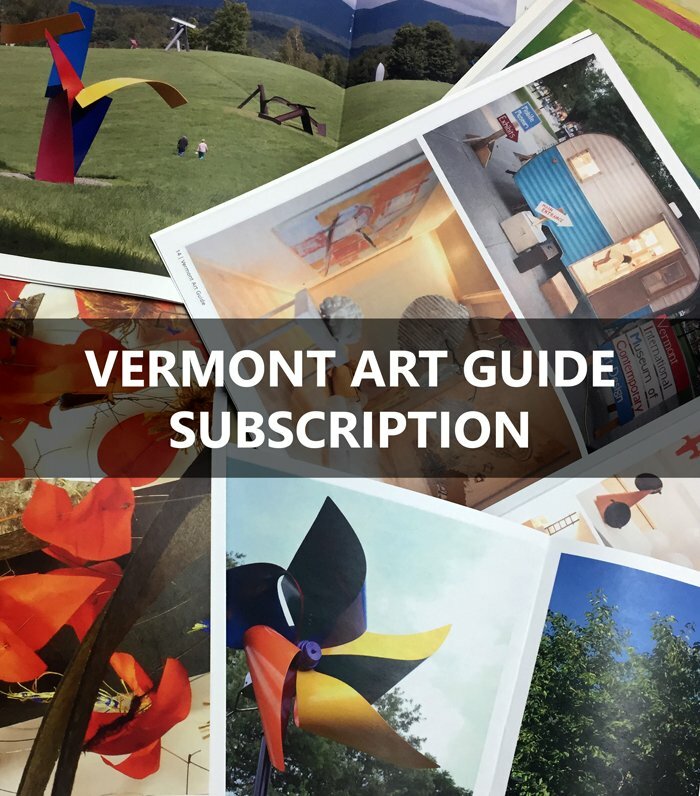 Her work is characterized by luminous saturated color, depicting the open pastures, farms, hills and mountains of Vermont’s Champlain Valley. Julia Jensen’s paintings exist at the meeting ground between the external world and the internal, emotional, and spiritual responses to it. Rose Umerlik’s work is abstract with a focus on form and line. Using these elements, she captures the emotion in human relationships or stories of aloneness.